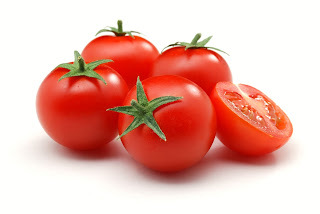 Tomatoes are not only good for health but also it would remove obesity. To remove cold in winter you drink tomato soup you can eat tomato to reduce weight. Have you ever heart the name of tomato diet. You can reduce your weight in 1-2 weeks by adapting tomato diet. Tomatos are high in fiber and water which can reduce your appetite. - You must include tomato in your diet. You can use it in sandwich or tomato juice in your diet. - You can use tomato in any paneer dish. The recipe does not only become tasty but also it reduces your weight. However, never intake tomato along with milk. - You can use tomato mixed with vegetables or with brown rice. If you’re fond of eating plenty of vegetable salads then you can mix tomato in it. - You can eat tomato juice or tomato salad in afternoon. In addition, tomato juice will be very helpful in reducing your weight. - You must have to eat vegetable salad at dinner. You can eat it with bread and vegetables. You will get more fiber if you mix tomato with vegetables. - You can mix tomato with grapes as snacks. It not only fills the stomach but also it reduces your weight.